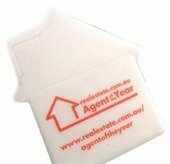 Attention all real estate agents, property developers, and home renovation suppliers! Here comes the personalised Sugar Free Mints House Dispenser. In the business of selling, it is our prime most objective to differentiate ourselves. Devising ways to do this has thus been a challenge for many companies. 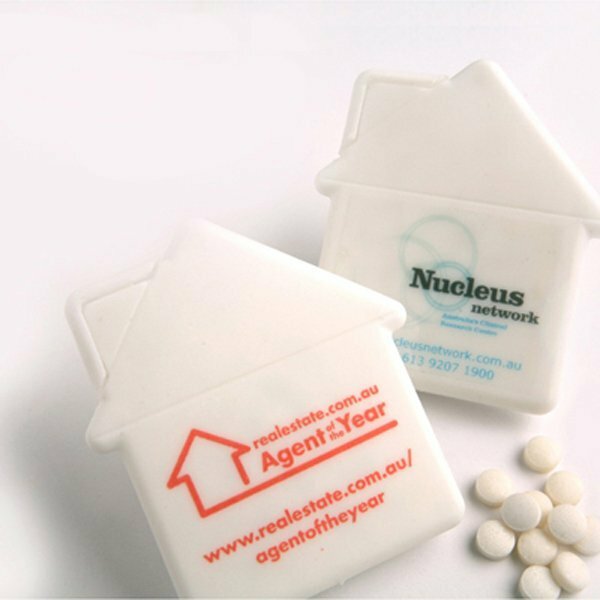 The promotional Sugar Free Mints House Dispenser is our solution for subtly reminding the clients of the value your brand adds to the home. It is thoughtfully formulated to be without sugar so it is healthier and guilt free to munch on. You may elect for it to have 100 or 250 pieces of mint. Its white plastic packaging comes in a width of 72mm and a height of 54mm. This is something you may leave bare, or something you may put a customised sticker on. You can provide your own artwork and special message we will custom print on this. Each sticky label comes at a width of 33mm and a height of 33mm. This may either be in full colour or a one colour sticker. You may, instead, also just choose an extra Pad Print Colour (at a 40mm width and 30mm height). With the Sugar Free Mints House Dispenser, the client’s memory of your brand is made one of a kind. Driving the sale or bagging that contract will be in reach in no time. Drawing on the compelling story of home, this gift will be the perfect push to help win the day. 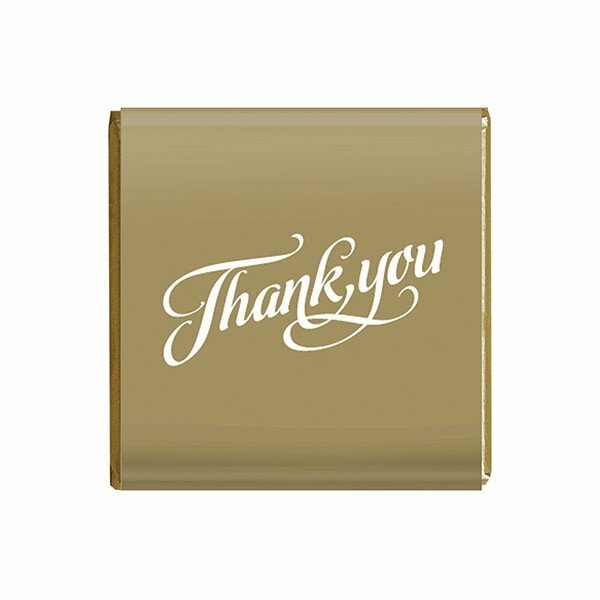 You might also wish to consider the personalised Mints Glass Jar if you want a container that’s great for storing a good amount of mints around the office or the house. 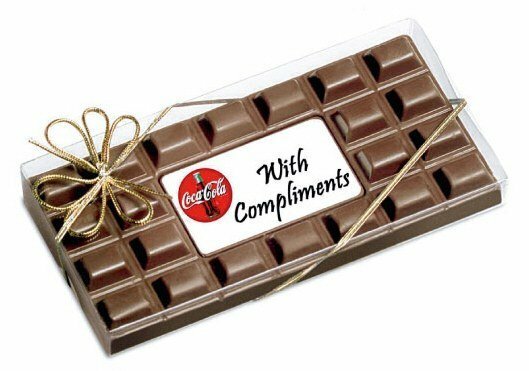 Or if you’re thinking of giving away your promotional mints in pieces, the promotional Chewy Mints Individually Wrapped would make a good choice. Make sure you get in touch with one of our customer service staff if you have any questions about the ordering process. Dial 1300 008 300, or chat with us via that chat application. Should you also be thinking of shopping for printed head wear then our same support team can guide you. Our Fast Caps website has a fantastic range of promotional caps in all the colours you could hope for. Matching your branded mints with decorative caps just got a whole lot easier. Do check out our custom Event Cap.